Whatever your politics, when the Republicans picked Tampa for their 2012 convention, it was an alert to a city that’s worth discovering. Often overlooked in favor of Florida beach locations, Tampa is the thriving port and business hub of the big Tampa Bay area, some three million strong. It boasts some of the state’s best known attractions and restaurants and a colorful Cuban heritage. 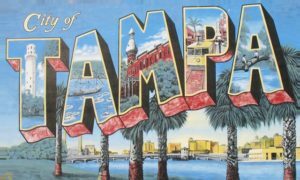 But while it offers the amenities of a much larger metropolis, Tampa remains an accessible city of 300,000 and it is easy to find your way around. As I discovered on a recent visit, Tampa also is filled with great attractions for families, including the animal safaris and thrill rides at Busch Gardens, the fin-filled Florida Aquarium (flaquarium.org) and an award-winning local zoo (lowryparkzoo.com) The Museum of Science and Industry (mosi.org), the biggest science museum in the Southeast, has a separate interactive science center for young children, Kids in Charge, that is the largest of its kind in the country. 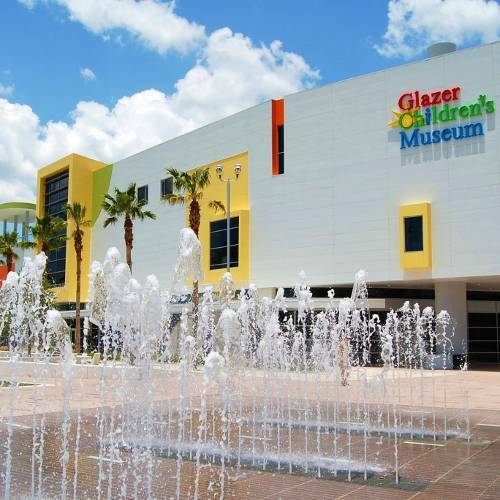 A new art museum opened in February and a children’s museum debuting this fall are further incentives for a visit. The busy international airport, served by almost every major airline, offers inviting fares, as do the many hotels nearby. Tampa began life as a cigar manufacturing center, based in the neighborhood named Ybor City for Don Vicente Martinez Ybor, who moved his cigar-making business here in 1886. The area became the most vibrant Cuban community in America and today is one of Florida’s few Historic Districts. Though the industry waned after the embargo on Cuban tobacco in the 1960s, Ybor City remains a colorful neighborhood and cigar makers are still at work hand rolling tobacco in several shops along Seventh Avenue, the main street. The Ybor City Museum State Park (ybormuseum.org), tells the story of the past with exhibits in a 1920s-era brick bakery building A master cigar maker demonstrate his craft in the museum shop. 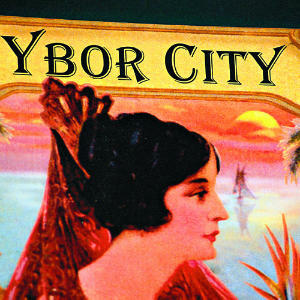 About the time that Ybor City began to flourish, a gentleman named Henry B. Plant, who was building a railroad down the west side of Florida, planned to attract visitors by building the most magnificent hotel of the day, the Tampa Bay Hotel, a lavish mélange of Moorish minarets and domes filled with opulent furnishings from around the world. Today it is the centerpiece of the University of Tampa , with one wing set aside as the Henry B. Plant Museum (plantmuseum.com), preserving the Victorian lifestyles in Tampa during America’s Gilded Age with some of the hotel’s original furnishings, a video bringing the era to life and live performances offering vignettes of some of the staff and guests of the hotel. The art museum was designed by San Francisco architect Stanley Saitowitz, with a dramatic 30-foot-high atrium, now adorned with a giant Alexander Calder mobile, Les Trois Barres. The building’s pierced aluminum exterior shimmers by day and is spectacular after dark, when it features 140 LED fixtures forming a light sculpture. One of the intriguing current exhibits featuring New Mexico artist Leo Villareal further explores the potency of light. And the newly opened — and playful — Glazer Children’s Museum is a major addition for creative play in a city already filled with family fun. 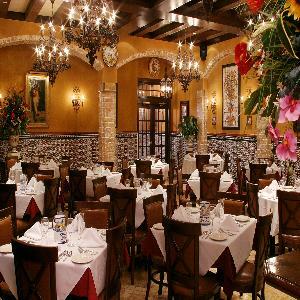 No one visiting Tampa should miss the Columbia Restaurant, occupying a whole block Ybor City. Columbia has branches now is several cities, but this is the 1905 original, the oldest restaurant in the state, filled with atmosphere, and it has managed to maintain the high quality of its food in spite of being a tourist mecca. It is always packed; advance reservations are essential. Along with a traditional Cuban platter, two of the dishes are legendary: Snapper Alicante, baked in a casserole and topped with sliced roasted almonds; and Arroz con Pollo “Valenciana,” the founder’s original recipe for this classic dish. Bern’s Steak House is another landmark. A family-operated establishment founded in 1956, it is known as much for its ornate décor, upstairs dessert parlor and 6,500-selection wine list as for the succulent steaks. Foodies make pilgrimages to Tampa for a newer star, Restaurant BT, recently moved to sleek expanded quarters in the city’s quaint Hyde Park Village. The female chef, B.T. Nguyen, serves Vietnamese cuisine with a definite French accent. The photos of customers on the wall includes a visitor named Barack Obama—at least until the Republicans come to town. Tampa is a young town with plenty of nightlife. Seventh Avenue in Ybor City is Tampa’s answer to New Orleans’ Bourbon street, with music pouring from almost every doorway. Join the 20-somethings and turn into any bar where the music appeals. South Howard (Tampa’s Soho) is the place to be after dark. Ceviche’s Flamingo Bar pulses with Latin music, Mangroves a two-story seafood restaurant and bar, has a deck with private cabanas and doubles as a nightclub on the weekends. Things get lively also in the Channelside Bay Plaza complex, near the cruise port. The action is non-stop at Splitsville, a combination bowling alley and dining place, Stumps Supper Club serves up southern food and live entertainment on weekends and Howl at the Moon is a lively sing-along piano bar where the waiters sometimes perform on the bar. Another entertainment complex with 15 restaurants. Awaits at Bay Street part of Tampa’s International Plaza, a big upscale shopping mall near the airport with 200 retailers. If you must have a beach, St. Petersburg and Clearwater beaches are 20 minutes away. But be forewarned: you may not want to leave this vibrant city. Re: Tampa: Republicans (and Democrats!) Are Welcome | Everett Potter's Travel Report thanks, I enjoyed reading it, got an insight or two!